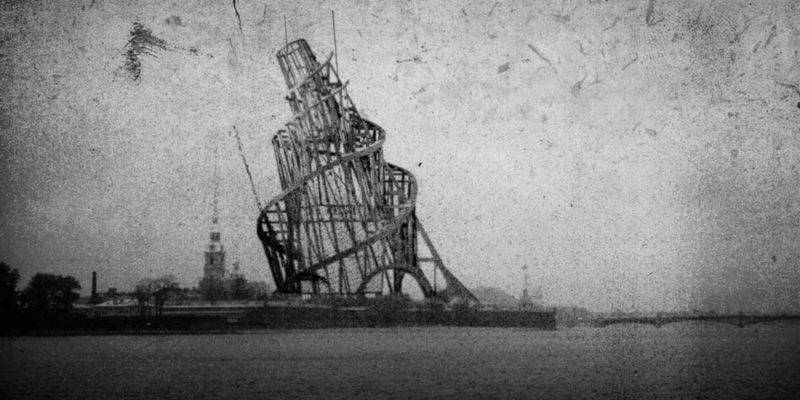 Pictured: model of a proposed Monument to the Third International designed 1919-20 by Vladimir Tatlin and comrades. A century ago, from 2nd — 6th March 1919, 52 delegates, more than 40 from various political organisations outside Russia, met in Moscow. During those five days the meeting became the First Congress of the Third International , also known as the Communist International, abbreviated to Comintern. That event marked a key point in the development of revolutionary proletarian organisation. The Congress took place at the moment in history where the proletariat had made its biggest challenge, before or since, to the capitalist order. In Russia, the Soviets had taken power in November 1917. By March 1919 they maintained their control in those areas of Russia that they had been forced to successfully defend militarily. However, it is crystal clear from the contributions during the Congress that working class power in Russia was seen by all the participants as only a temporary step in the establishment of worldwide socialism. In 1919 revolutionaries had good cause to believe that the process was moving towards a successful outcome. Strikes and mutinies had brought an end to the slaughter of the First World War. The Kaiser had been removed from power in Germany and the Austro-Hungarian Empire had collapsed. In many parts of Europe and beyond, Councils of Workers and sometimes Soldiers and Sailors had appeared, at least partly mirroring the Russian Soviets. Germany was seen by all as the crucial next step in the world Revolution. Although we can now see the disastrous long-term consequences of the ill-prepared "Spartakist uprising" which had been bloodily beaten in January, Councils still existed and working class combativity remained high. In the weeks after the Congress the working class struggle continued to gain victories. The May issue of Communist International summarised, "The Third International already has as its members three Soviet republics — in Hungary, Russia and Bavaria." In their May Day Manifesto, the Comintern declared "The flames of proletarian revolution are spreading all over Europe. It is invincible ... The last hour of our oppressors has struck ... in 1919 the great Communist International was born. In 1920 the great International Soviet Republic will come to birth." The Congress's vision reflected the reality of the incredibly sharp and undisguised class struggles that were taking place. A century later the inheritors of the Congress exist in an epoch where revolutionary consciousness has been all but buried and the combativity of our class is at a far lower level. Yet, for present-day Communists the texts of the Congress contain many points which provide remarkably clear insights that are often distorted by erstwhile "Leninists". It is worth highlighting three such examples. Secondly, time and again, we have to confront the grotesque political contortions of capitalism's left-wing whose followers act as cheerleaders for all manner of inter-capitalist disputes. In particular, they will, literally and metaphorically, wave the flag for small national states and would-be states. Such positions stem from the confused and increasingly counter-revolutionary policies of the Comintern from 1921 onwards. They have nothing in common with the proletarian internationalism of the First Congress. There socialists had built on lessons from the minority who had struggled against the "Great War" and strands such as the Zimmerwald Left  who had argued to turn the imperialist war into civil war. The Congress, in common with any moment in the history of class struggle, was and could only be, in today's language, "work in progress". The fact that the revolutionaries had no International Party in place at the start of the struggles undoubtedly hampered their ability to guide the process towards a successful final onslaught against the bourgeois order. The Second Congress, held a year later, was more representative of the forces that had rallied to, and were taking steps to organise as a result of, the revolutionary wave. It also has to be recognised that by 1920 the tide had begun to turn against the revolution and the start of the future degeneration of the Comintern was evident. At the founding Congress the absence of an effective revolutionary party had already shown its effect in Gemany. There the revolutionary elements in the Spartakusbund had, until the last days of 1918, refused to draw a clear line between themselves and initially the social patriotic SPD and then the vacillating USPD. The representative of the newly founded KPD (German Communist Party) at the Congress was Max Albert (aka Friedrich Eberlein). Albert presented the same indecisive attitude at the Congress, arguing that it was premature to declare the Third International. It was only with the arrival of delegates during the course of the five days that the prevarication was overcome. Attendance was also unavoidably restricted to those who were able to be present in Moscow while the wars waged by the White armies and their imperialist backers still raged and the area controlled by the Soviets endured a blockade imposed by the imperialist powers. This partly accounts for the absence of delegates from areas where significant class struggles were taking place such as Italy or Spain. It is also indisputable that the selection of those attending the Conference reflected the state of flux amongst revolutionaries. In many of the national territories, both those present at the Congress and those that were not, the process of organisational definition was far from complete. Many Communists who supported the revolutionary wave were still organising as fractions and tendencies within a range of organisations. For example, the US SLP that Reinstein was notionally delegated from would split with only part of its left wing joining the Third International. In contrast, the two representatives from Switzerland represented different fractions. Platten was listed as representing the opposition within the Swiss Social Democratic Party while Leonie Kascher was delegated from the Swiss Communist Group. Despite the early stage of development of the territorial organisations, the Congress was able to agree on initial points of political definition. Point 4 of the Platform adopted by the Congress made clear the necessary separation between Communists and the other strands that had existed in the former Second International. A section of the meeting was devoted to analysis of a conference held in Bern the previous month. At that meeting the social patriots who had sided with the national bourgeoisies gathered to breathe life into the corpse of the Second International. During the next two years revolutionaries regrouped to form Communist Parties in many national territories. Tragically, however, by the end of that process and the Third Congress in 1921, the revolutionary wave was clearly ebbing. By that stage there were already pressures on Communist Parties to act as local agents for the Russian state rather than advocates of working class independence and international revolution. The quote from Mitchell shows that the Congress was meeting at a historic juncture. Significant sections of the proletariat were fighting for their own interests and in so doing revealed that these go well beyond national boundaries. In such circumstances, there was ample justification for not only a hope, but indeed an expectation that the destruction of world capitalism was imminent. In 1848 the industrial proletariat was still in its infancy with a significant presence in only limited areas of the world. Anticipating the revolutionary upsurge of that year, Marx and Engels described the emerging revolutionary potential for the proletariat to become capitalism's grave diggers. That is the significance of the declaration that "A spectre is haunting Europe - the spectre of Communism", the opening words of the Communist Manifesto. In reality, the revolutions of that year resulted in the increased control of the bourgeoisie which enabled capitalism to develop more freely in its existing heartlands and better prepare to extend to the rest of the world. That outcome in no way devalues the Manifesto as the starting point for those committed to the proletarian revolution. There are certain parallels with the declarations of the 1919 Congress. They emerged from the living experience and struggles of the class, both reflecting and influencing their course. The defeat of the revolutionary struggles has come at an enormous cost to generations of proletarians, the vast majority of humanity. Despite its imperfections, very largely unavoidable, the 1919 Congress is the starting point for revolutionary praxis today. The Stalinist and Trotskyist defenders of the Soviet Union's state capitalist system and the mainstream "free market" propagandists both pretend that the horrors of exploitation, alienation and oppression in the Soviet Union and its satellites flowed directly from the revolutionary struggles that gave birth to the Comintern. The documents of the First Congress prove beyond a shadow of doubt that the reality was far different. The 1919 Congress took place against a backdrop of major sections of the working class challenging the entirety of the capitalist system. These were truly "Days of Hope". We now know that the victorious struggles which promised an imminent Communist future were short lived. By the mid 1920s the revolutionary wave had entirely ebbed away. Soviets existed in name only and official Communist parties had transformed into support mechanisms for the Soviet Union where capitalist restoration was proceeding inexorably with the party/state becoming the lead agent in generating and benefiting from state capitalism. In Revolutionary Perspectives 9 we published the grimly prescient writings of Karl Radek published in April 1918. "If the Russian revolution is crushed by the bourgeois counter-revolution, it will be reborn from its ashes like the Phoenix; but if it loses its socialist character, and by this disappoints the working masses, this blow will have ten times more terrible consequences for the future of the Russian and international revolution." Radek's forecast has been fully confirmed. The resurgence of capitalism in Russia and its survival in every other part of the world has produced a century of unprecedented wars and human made disasters. In 2019 we see a situation where capitalism has been in systemic crisis for the last half century and has imposed famine, unbearable hardships and "wars without end" on whole areas of the world. The drive to restore profitability and the inter-capitalist rivalry at the heart of the system point towards even more devastating ecological destruction coupled with the horrors of global warfare. The alternative of "Socialism or Barbarism" has never been plainer. Compared to 1919, our class's response to the horrors of capitalism is sporadic and isolated. Communists, the most class conscious protagonists of class struggle, refuse to become passive observers of capitalist horrors. The Internationalist Communist Tendency continues the patient but crucial work of regrouping forces to help lay the basis for the future International Party. We are not that Party, but we are for that Party. We appeal to those who share our perspective to work with us. References to contemporary documents are from Founding The Communist International - Proceedings and Documents of the First Congress: March 1919 (Anchor Foundation, 1987). The abbreviation FTCI has been used in these footnotes. The International Workingmen's [sic] Association (later referred to as the First International) was founded in 1864 and effectively collapsed in 1872 when the Anarchist element, led by Bakunin, split from those maintaining a Marxist approach. The Second International was formed in 1889. Both revolutionary and reformist tendencies were present throughout its history. That situation and the International itself shattered in August 1914 when the long established reformist practices resulted in the large majority of the national sections siding with national states at the start of the First World War. The then customary use of "man or mankind" for "humanity" is reflected in the language used at the Congress. That use of language inherited from capitalism should not overshadow the work carried out by prominent early Communists such as Clara Zetkin and Alexandra Kollontai to support the twin tasks of involving masses of proletarian women in the new Communist movement and also ensuring that the needs of women were central to the agenda of revolution. In 1915 an international conference against the war was held in Zimmerwald, Switzerland. At that meeting the Zimmerwald Left developed as a continuing tendency committed to revolutionary opposition, destroying the imperialist war effort by "civil war" i.e. revolution. Founders of the Zimmerwald Left included Lenin, Zinoviev, Radek and Platten. The Socialist Labor Party in the USA was a revolutionary organisation founded in 1876. It supported class struggle and stood apart from the creeping adaptations to capitalism by the Second International. It was part of the socialist opposition to the First World War. Its best known propagandist was Daniel De Leon. ABC of Communism, Bukharin and Preobrazhensky ed. E.H Carr, (Pelican Classics, 1969) pp.221-222. The territory was previously known as the Russian Soviet Republic or the Russian Socialist Federative Soviet Republic. With the loss of its proletarian essence, it was reorganised into the Union of Soviet Socialist Republics in 1922. "Days of Hope" was the title of a TV series broadcast in Britain in 1975. It was directed by the British leftist, Ken Loach, tracking the history of a working class family in Britain from 1916 to 1926. The Communist Manifesto, K Marx and F Engels (Pelican, 1967) p.79. I wil attempt this in Spanish, it looks like a durable document. However, does anyone else concur that the proposed monument to the Comintern was a bit crap? ! Red H I think even the "party" concept is overdone. As far as I call tell, Marx was using the term "party" back when "communist party" meant simply those pushing for communism, a group, a self-aware collection of people, not needing to be an organization at all. The concept of the party as a single, disciplined organization that also embodied the whole of communist potentials came both from Lenin but also from the degeneration of the Soviet Revolution - the impact of mythologies and representations of "heroic revolutionary leaders" should not be ignored. Stephen S This sounds like something that would involve a very small group of really smart people. But to go beyond that, to create a sort of "communist consciousness machine", something that can effectively intervene on an effective scale, I think we cannot avoid formal organisation, decision making regarding what is acceptable as a "party line" and use of resources and the like. A bunch of good buddies is not enough. I was surprised by Red Hughs's comments on the Facebook thread you've quoted. I don't think Red has a conception of 'the Party' that is particularly close to the CWO's, but that formulation seems more 'anti-Party' than I expected. My feeling is that there is currently a greater drive to coming together, a greater sense of urgency to regroup, than I've seen in a long time. Even Red, in my understanding, is involved in some sort of regroupment effort which seeks to contribute to the foundation of the World Party.